Your query may be answered on our How It Works page. Please check it before contacting us. 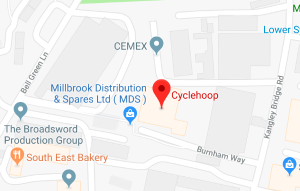 If you are a Local Authority or Housing Association and are interested in a Cycle Parking Rentals Scheme for your area, please email info@cyclehoop.com or call 0208 699 1338.